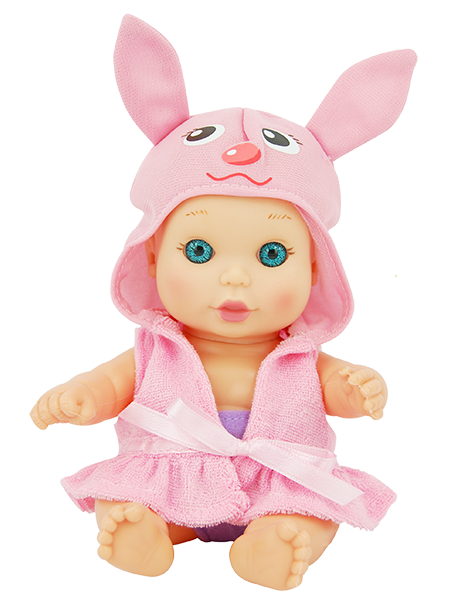 Our 8” baby doll is ready for her bath. 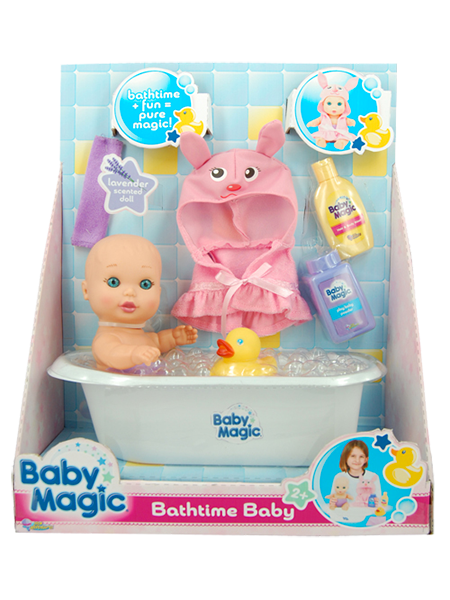 Dressed in her hooded character robe, she comes with diaper her own bathtub, rubber ducky, 2 Baby Magic play bottles, and towel. 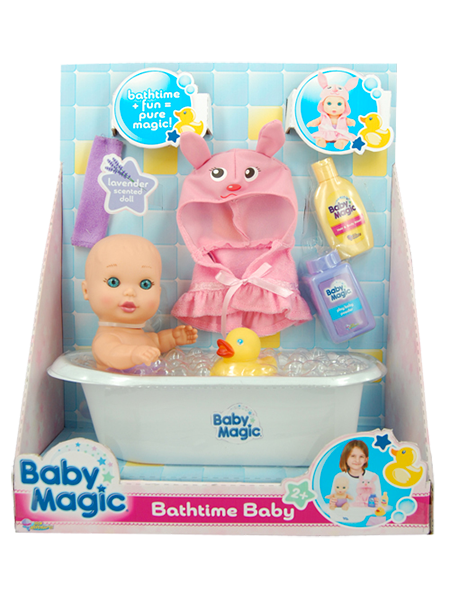 All your bathtub needs to play and pretend with your baby doll.